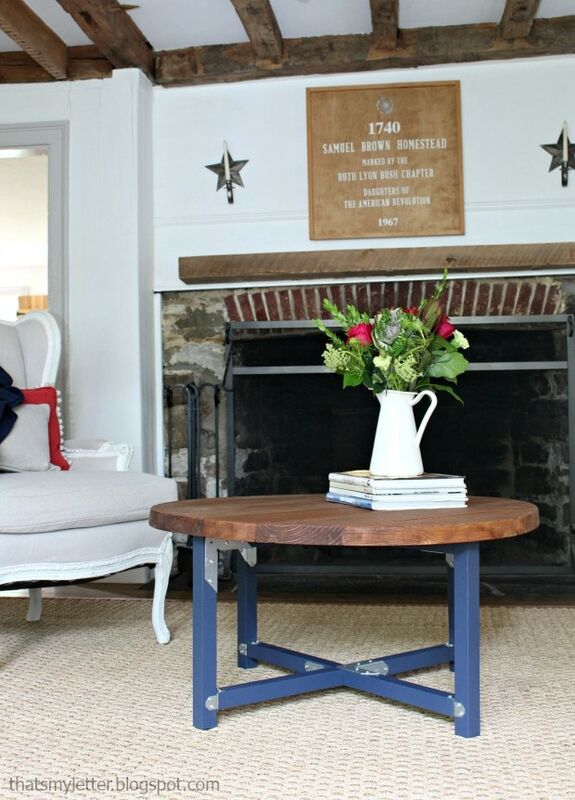 Sometimes, when you add a piece of furniture and it changes your whole perspective on a room. 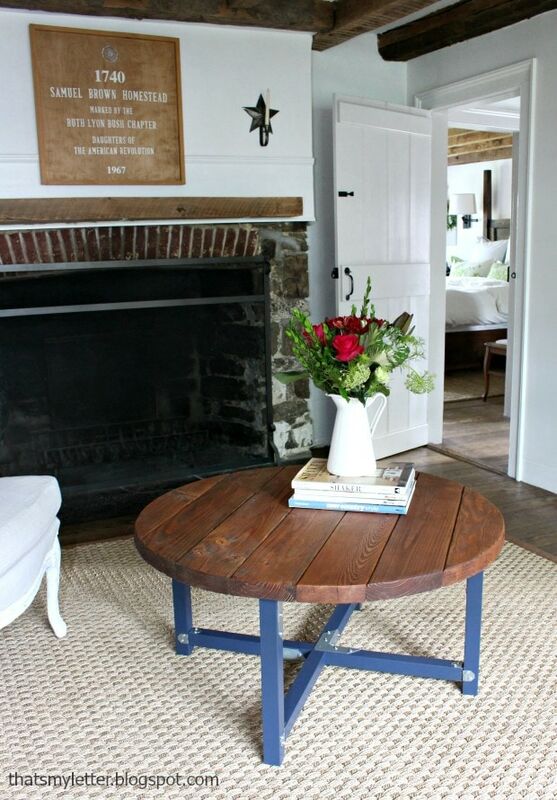 This round coffee table did just that for my living room and I bet it might have the same effect for your space too! 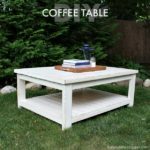 I’ve teamed up with the beautiful folks at Simpson Strong-Tie® to bring you this round coffee table and I’m showing you how so you can build one too. The base construction is almost like tinker toys where you can cut all the pieces and pre-paint, then assemble. I used two different Simpson Strong-Tie® connectors along with their easy self-tapping SD8wafer-head wood screws to attach all the pieces. I’m loving the contrast of the glossy blue against the steel connectors and stained top. You could paint the connectors any color (I almost sprayed them gold but thought twice about that!) 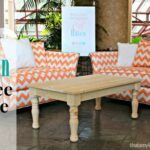 to match your décor. 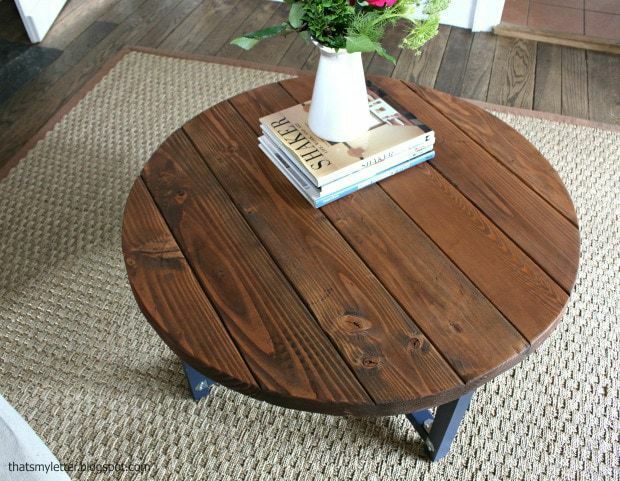 This version of the round coffee table has 36” diameter top, plenty big for drinks or magazines but you could go bigger if you have the space for it. 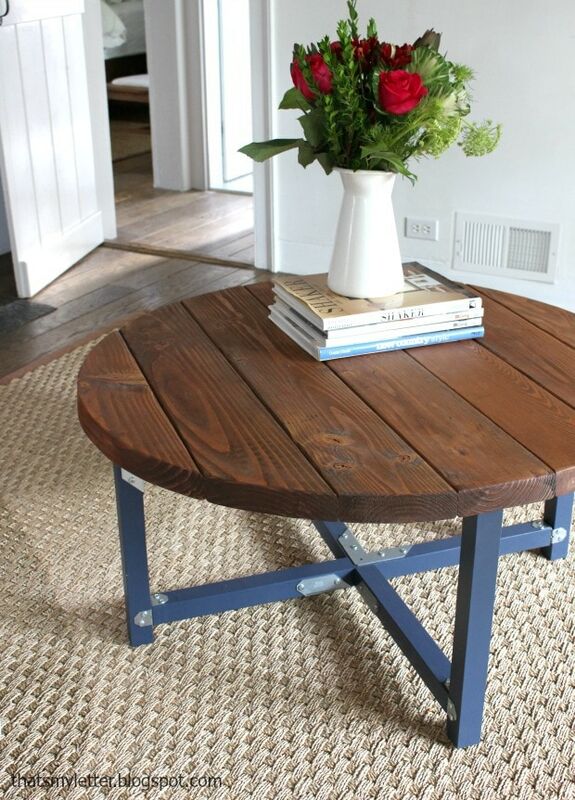 And this top is planked using 1 ½” thick boards but you could use a solid plywood top and double the wood thickness. 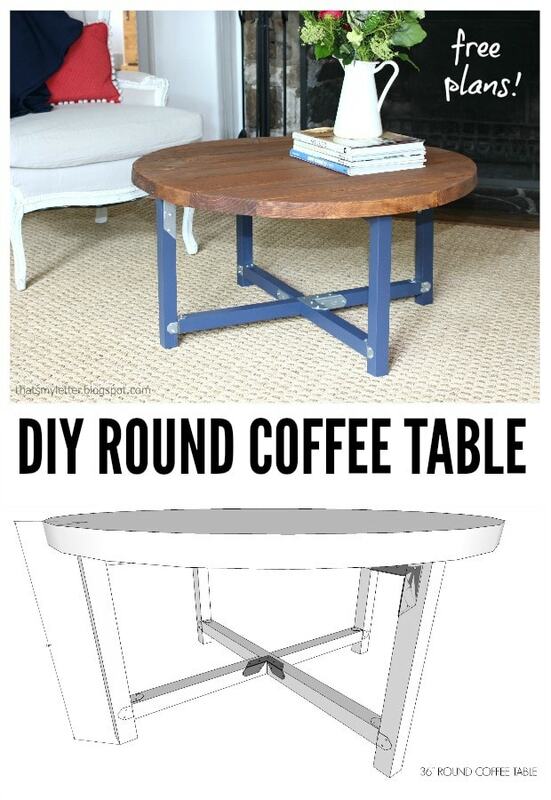 Below is the link to step-by-step instructions to build this round coffee table. 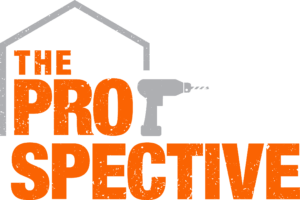 Always follow all safety precautions when using power tools. 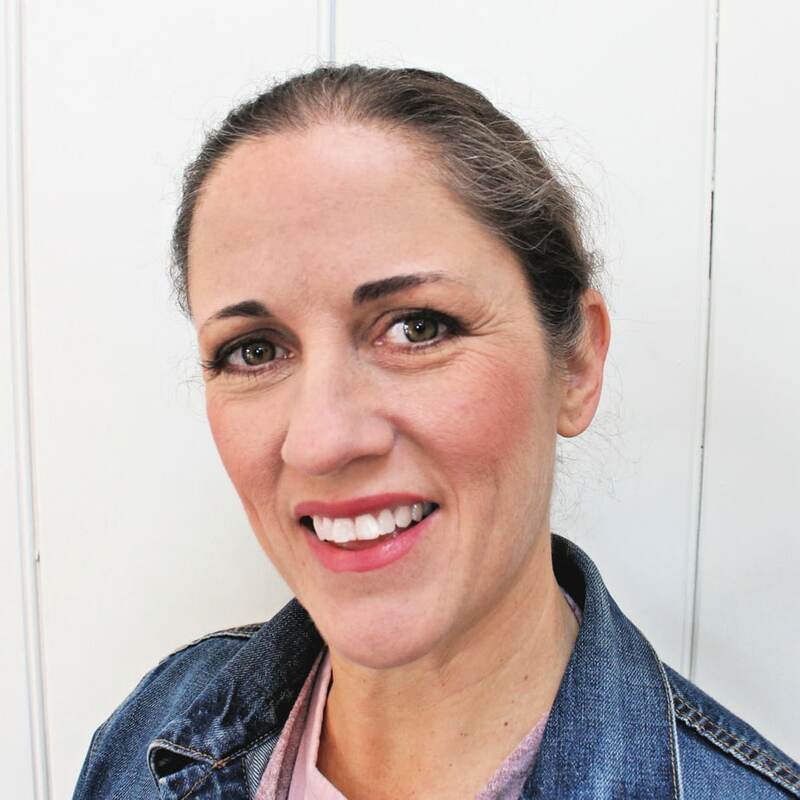 Click here for a link to free printable PDFversion of the plans. Also be sure to watch the time-lapse video above for a real life view of the building process. 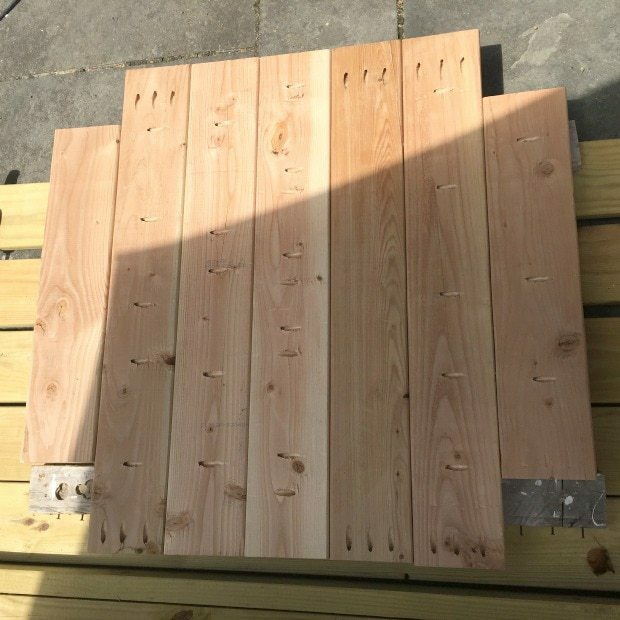 To make the planked top connect the boards using pocket holes. 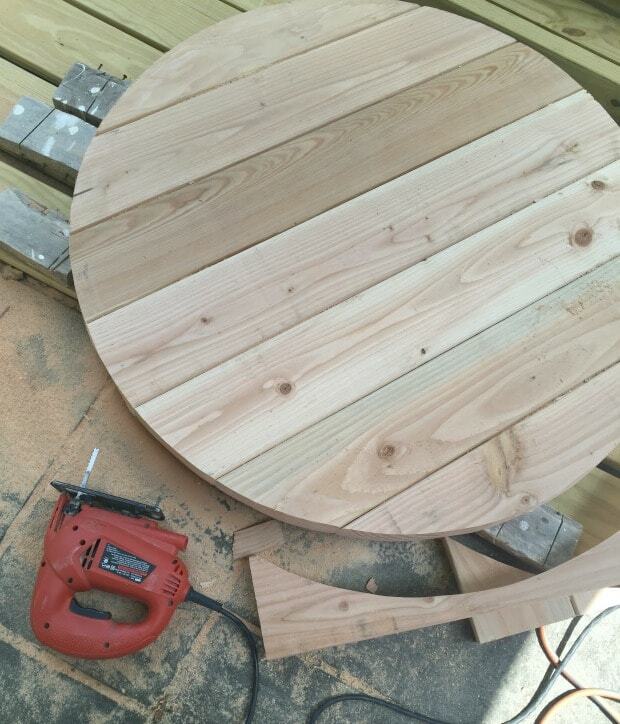 Mark a 36″ circle starting the center then cut out the top uusing a jig saw. Follow the plans for the remaining assembly process. 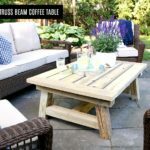 If you’re looking for an easy to assemble round coffee table with simple lines and a touch of industrial character then this project is for you. Disclaimer: This post is brought to you in partnership with Simpson Strong-Tie®. 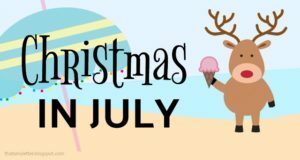 I was provided compensation and /or product for this post however all thoughts, opinions and creative ideas are my own. 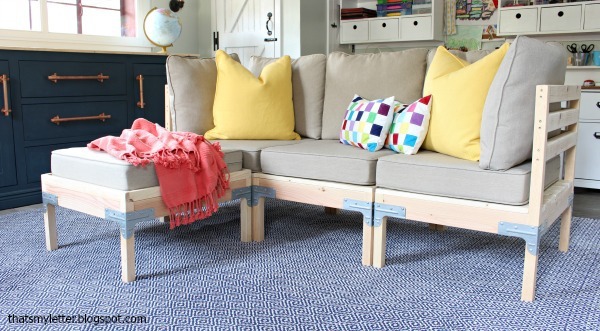 A modular style sofa and ottoman. 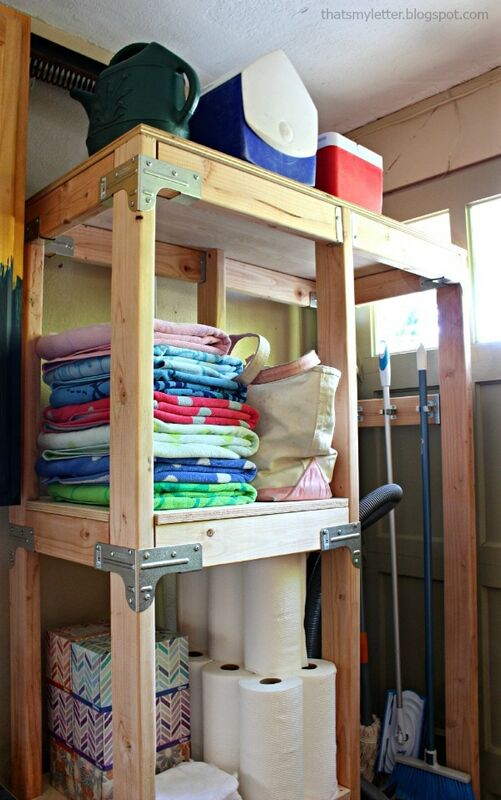 This cleaning storage tower to corral all the gear. 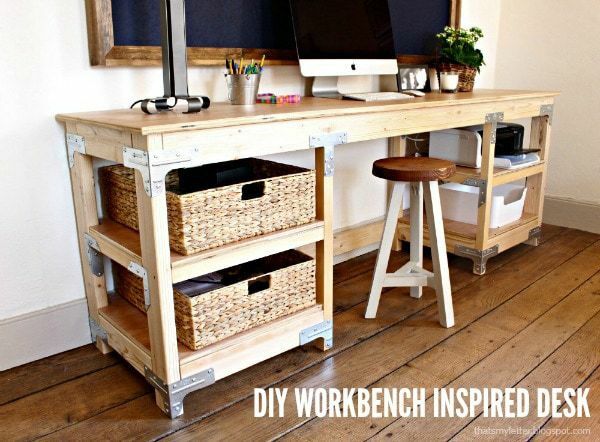 My favorite workbench inspired desk. And this fun vanity style desk for my girls. There is another desk coming shortly with a modification to the drawers so stay tuned! The pocket holes confuse me a little. Did I miss something? why are there pocket holes on the ends of the boards? 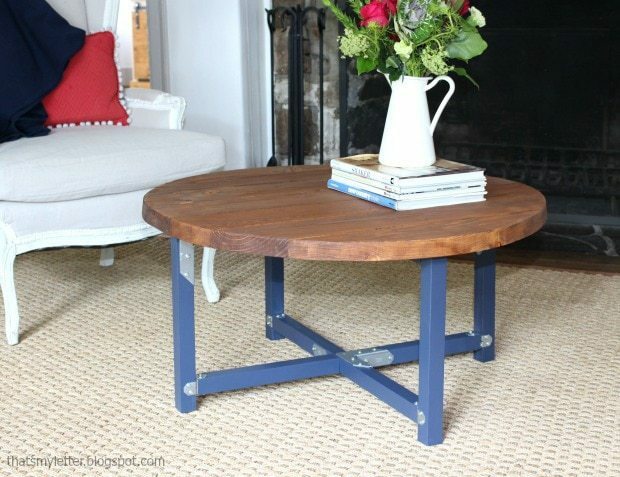 I've been looking online for a 42" round coffee table. The only thing that comes close to what I am looking for cost around $800. 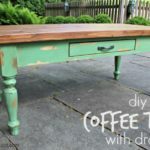 I would like to try my hand at making a coffee table like the one you made. 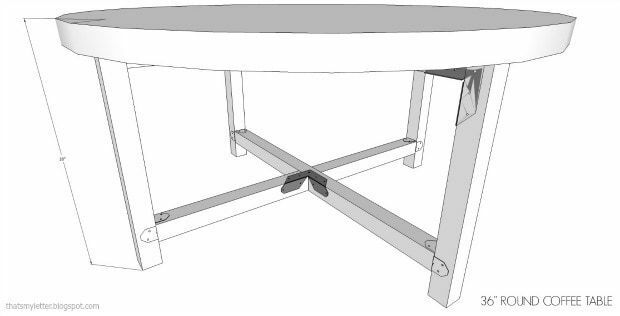 Would I just need to lengthen the braces on the underneath side of a 42" table top for support? Yes I believe this layout will work for the larger 42" size. If you're feeling unsure you could use 2×3 boards or even 2×4 which will be a chunkier look. 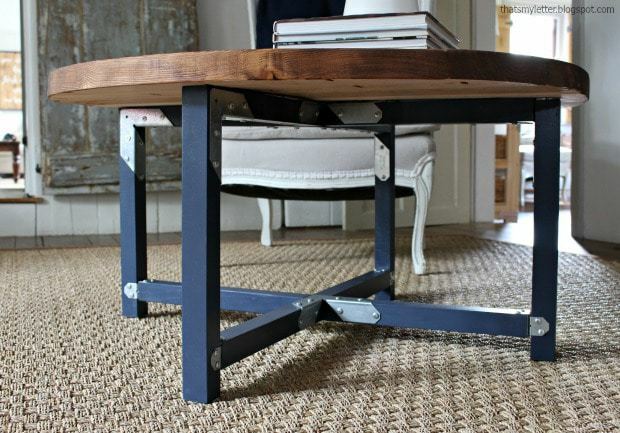 Good luck with your project and hooray for DIY!